If you depend on a well for your fresh water supply in Knightdale, you depend on your water pump, so when it needs service, come to the experts at Guaranteed Plumbing. Without a well pump that works properly, your fresh water supply won’t be available for your home. 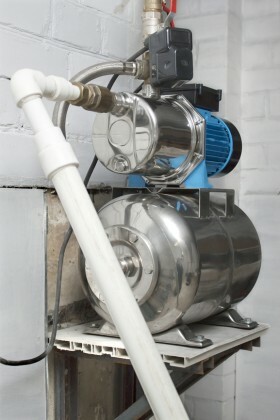 A proper running well pump is imperative to get the supply of water you need. And keeping it working in great shape is a part of maintaining the systems that support your needs. Whether you’ve had problems with your well pump or not, you’ll need to ensure the well pump is kept serviced throughout the year. If left ignored, your well pump won’t last as long or perform as well as it should. A dirty well pump simply won’t run efficiently and will break down sooner, just like your automobile. You could go months with a well pump problem and not even know it’s costing you more to run it. Since you’re not paying for water but your pump does require electricity to run, a spike in your electrical bill won’t tell you what system in your home was using more power. At least once a year, an inspection and tune-up should be done for your well pump. A smoothly running well pump gives you optimal performance and less in electrical energy usage. Your well pump requires routine maintenance and inspection. Like any mechanical object, the system contains moving parts that have to be adjusted, checked, and lubricated where needed. You depend on your well pump to operate at all times of night and day. Ensure it’s running as it should with regular inspections and maintenance. Looking around for the right plumber to specifically take care of all your well pump needs can be hard, especially if you’re looking also for well pump installations. Not every plumber can handle this type of service, but at Guaranteed Plumbing, we’re fully able to handle all your well pump needs including installations. We can set up your system no matter the size of your well pump needs. Whether for a small pump, deep pump, centrifugal pump, submersible pump, well water tanks, or other, we can install or repair any system you’re looking for. Our expert Well Pump services cover the entire Knightdale, North Carolina area! Our highly qualified plumbers at Guaranteed Plumbing have been providing exceptional well pump installations, repairs, and replacements since 2007 and are ready to serve you! If you need well service or pump repairs, we’ll be there wherever you are in the Raleigh area. If you are looking for a well pump professional in Knightdale then please call 919-PLUMBER (919-758-6237) or complete our online request form. "They did an excellent job, I could not be more pleased." 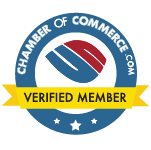 "Excellent experience. Prompt response, on time, professional. Good workmanship." "Mike was at our residence within 30 minutes of my call. He was very professional and helpful. I [...]"
"Arrived a scheduled and was very professional. He did excellent work and I plan to contact him for [...]"
"You can trust when they come out and do the work,they do it right the first time! They [...]"